The attack at Flers-Courcelette was part of the larger offensive at the Somme. General Sir Douglas Haig took the controversial decision to use this operation to test out the British Army's new weapon, the tank. This went against the advice that they should be employed when they could be used en masse to ensure a major breakthrough. Arnold Ridley later wrote: "We in the ranks had never heard of tanks. We were told that there was some sort of secret weapon and then we saw this thing go up the right hand corner of Delville Wood. I saw this strange and cumbersome machine emerge from the shattered shrubbery and proceed slowly down the slope towards Flers." 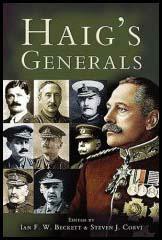 Led by General Sir Henry Rawlinson, the 12 divisions and 49 tanks attacked the German front-line on 15th September, 1916. The tanks surprised the Germans and in three days the British captured 2km of German held territory. However, a large number of the tanks broke-down and Rawlinson's army was unable to hold on to its gains. After an unsuccessful second attack on 25th September, the offensive at Flers-Courcelette was brought to an end. The British army has struck the enemy another heavy blow north of the Somme. Attacking shortly after dawn yesterday morning on a front of more than six miles north-east from Combles, it now occupies a new strip of reconquered territory including three fortified villages behind the German third line and many local positions of great strength. Fighting has continued since without intermission, and the initiative remains with our troops, who made further advances beyond Courcelette, Martinpuich, and Flers to-day. After the first shock yesterday morning, when the enemy surrendered freely, showing signs of demoralisation, there has been stubborn resistance, and much of the ground gained afterwards was only wrested from him by the determination and strength of the British battalions pitted against him. The Bavarian and German divisions have fought well, but nevertheless they have been steadily pushed backwards from the line they took up after their first defeats in the Somme campaign. British patrols have approached Eaucourt l'Abbaye and Geudecourt, and while no definite information is obtainable to-night regarding the exact extent of our gains they are rather more than the territory described in detail in this despatch. The battle is not over. Famous British regiments are lying in the open to-night holding their position with the greatest heroism. All that the enemy can do in the way of artillery reprisals he is doing to-night. But despite the tenacity with which the reinforced German troops are clinging to their positions everything gained has been maintained. Progress may not be at the same speed as in the first assault yesterday morning, but it is thorough and none the less sure. The story of the capture of Courcelette and Martinpuich, which were wrested from the Bavarians virtually street by street yesterday, will be as dramatic as any narrative told in this war. They are the chief episodes in the first two days of this offensive, but I can only give a bare summary now of the furious conflict which raged for possession of these obscure ruined villages. There are evidences that the unexpected British offensive disorganised the plans of the German higher command for an important counter-attack to recover the ground lost since July 1. Heavy concentrations of infantry were taking place, and the unusually strong resistance on the British left was due to the presence of an abnormal number of troops behind Martinpuich and Courcelette. In spite of this the divisions taking part in yesterday's attack splendidly achieved their purpose. Armoured cars working with the infantry were the great surprise of this attack. Sinister, formidable, and industrious, these novel machines pushed boldly into "No Man's Land," astonishing our soldiers no less than they frightened the enemy. Presently I shall relate some strange incidents of their first grand tour in Picardy, of Bavarians bolting before them like rabbits and others surrendering in picturesque attitudes of terror, and the delightful story of the Bavarian colonel who was carted about for hours in the belly of one of them like Jonah in the whale, while his captors slew the men of his broken division. It is too soon yet to advertise their best points to an interested world. The entire army nevertheless is talking about them, and you might imagine that yesterday's operation was altogether a battle of armed chauffeurs if you listened to the stories of some of the spectators. They inspired confidence and laughter. No other incident of the war has created such amusement in the face of death as their debut before the trenches of Martinpuich and Flers. Their quaintness and seeming air of profound intelligence commended them to a critical audience. It was as though one of Mr. Heath Robinson's jokes had been utilised for a deadly purpose, and one laughed even before the dire effect on the enemy was observed. Flers fell into British hands comparatively easily. The troops sent against it from the north of Delville Wood, astride of the sunken road leading to its southern extremity, reached the place in three easy laps supported by armoured cars. As a preliminary measure one car planted itself at the north-east corner of the wood before dawn and cleared a small enemy party from two connected trenches. It was not a difficult task for the "boches" promptly surrendered. The first halting-place of the Flers-bound troops was a German switch-trench north-east of Ginchy, part of the so-called third line, which they reached at the time appointed. There was a slight obstacle in the form of a redoubt constructed at the angle of the line where it crossed the Ginchy-Lesboeufs road. Machine-gun fire was well directed from this work, but two armoured cars came up and poured a destructive counter-fire into it, and then one of the many watchful aeroplanes swooped down almost within hailing distance and joined in the battle. The dismayed Bavarians promptly yielded to this strange alliance. Armoured cars and aeroplane went their several ways and the infantry carried on. The redoubt sheltered a dressing station where there were a number of German wounded. The second phase of the Flers advance brought the attackers to the trenches at the end of the village. Little resistance was offered. Here, again, the armoured cars came forward. One of them managed to enfilade the trench both ways, killing nearly everyone in it, and then another car started up the main street, or what was the main street in pre-war days, escorted, as one spectator puts it "by the cheering British army." It was a magnificent progress. You must imagine this unimaginable engine stalking majestically amid the ruins followed by the men in khaki, drawing the dispossessed Bavarians from their holes in the ground like a magnet and bringing them blinking into the sunlight to stare at their captors, who laughed instead of killing them. Picture its passage from one end of the ruins of Flers to the other, leaving infantry swarming through the dug-outs behind, on out of the northern end of the village, past more odds and ends of defensive positions, up the road to Gneudecourt, halting only at the outskirts. Before turning back it silenced a battery and a half of artillery, captured the gunners, and handed them over to the infantry. Finally, it retraced its foot-steps with equal composure to the old British line at the close of a profitable day. The German officers taken in Flers have not yet assimilated the scene of their capture, the crowded "High Street," and the cheering bomb-throwers marching behind the travelling fort, which displayed on one armoured side the startling placard, "Great Hun Defeat. Extra Special!" (2) On the 9th December 1916, The Illustrated London News described the battle of Flers-Courcellette that had taken place on 15 September 1916. From a German communication trench had been dug a number of small trenches mostly composed of joining up shellholes, the whole providing a system of considerable strength, which would undoubtedly have cost our infantry appreciable loss, had not one of our tanks quite unexpectedly appeared on the skyline and come lumbering towards the little strong point. The enemy holding the strong point had, of course, never seen or heard of such a thing as a tank. Panic evidently seized them and a number, losing their heads completely, started running. Above the noise of the bursting shells, the machine-guns of the tank were heard to open, seemingly simultaneously. In less time than it takes to tell, the Boches had ceased to run; they all seemed to go over like shot rabbits. The tank never paused but went straight on over the trenches, firing right and left as it did so. We in the ranks had never heard of tanks. We were told that there was some sort of secret weapon and then we saw this thing go up the right hand corner of Delville Wood. I saw this strange and cumbersome machine emerge from the shattered shrubbery and proceed slowly down the slope towards Flers. Sinister, formidable, and industrious, these novel machines pushed boldly into No Man's Land, astonishing our soldiers no less than they frightened the enemy. Over our own trenches in the twilight of the dawn those motor-monsters had lurched up, and now it came crawling forward to the rescue, cheered by the assaulting troops, who called out words of encouragement to it and laughed, so that some men were laughing even when bullets caught them in the throat. 'Creme de Menthe' was the name given to this particular creature, and it waddled forward right over the old German trenches. There was a whip of silence from the enemy. Then, suddenly, their machine-gun fire burst out in nervous spasms and splashed the sides of 'Creme de Menthe'. But the tank did not mind. The bullets fell from its sides harmlessly. From its sides came flashes of fire and a hose of bullets, and then it trampled around over machine emplacements 'having a grand time', as one of the men said with enthusiasm. It crushed the machine-guns under its heavy ribs, and killed machine-gun teams with deadly fire. The infantry followed in and took the place after this good help, and then advanced again round the flanks of the monster. In spite of the tank, which did grand work, the assault on Courcelette was hard and costly. Again and again the men came under machine-gun fire and rifle fire, for the Germans had dug new trenches which had not been wiped out by our artillery. These soldiers our ours were superb in courage and stoic endurance, and pressed forward steadily in broken waves. The first news of success came through the airman's wireless, which said: "A tank is walking up the high street of Flers with the British army cheering behind."